1. Preheat your oven to 425°F and prep your fresh veggies (toppings). Spread them in a single layer on lined baking sheets and drizzle with a little oil and a generous amount of salt. Roast for 40 minutes or until the eggplant is soft and all the veggies have a slight char. 2. 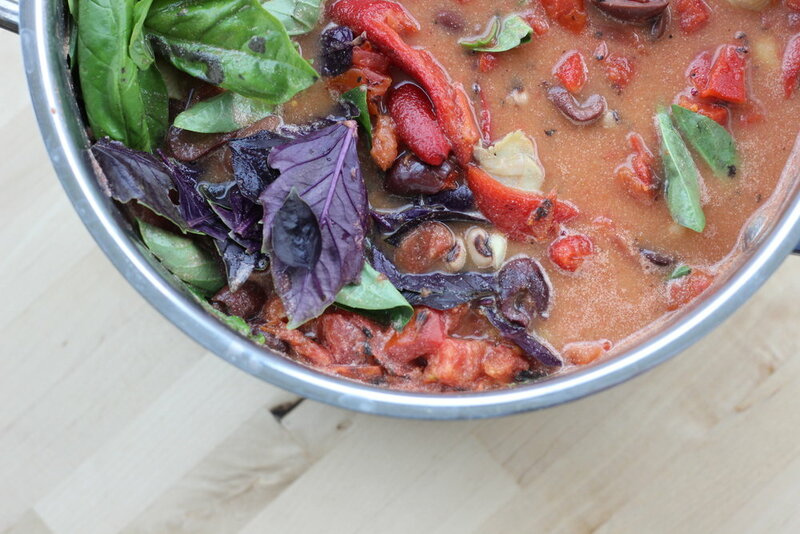 Meanwhile, add the canned tomatoes to a large soup pot over medium heat with the water and plant milk. Add the dry pasta. Make sure it’s covered in liquid so it can cook evenly. Cook the pasta in the tomato sauce following package instructions, and 2-3 minutes before it’s done, add the nutritional yeast, peppers, olives, artichoke hearts and beans. 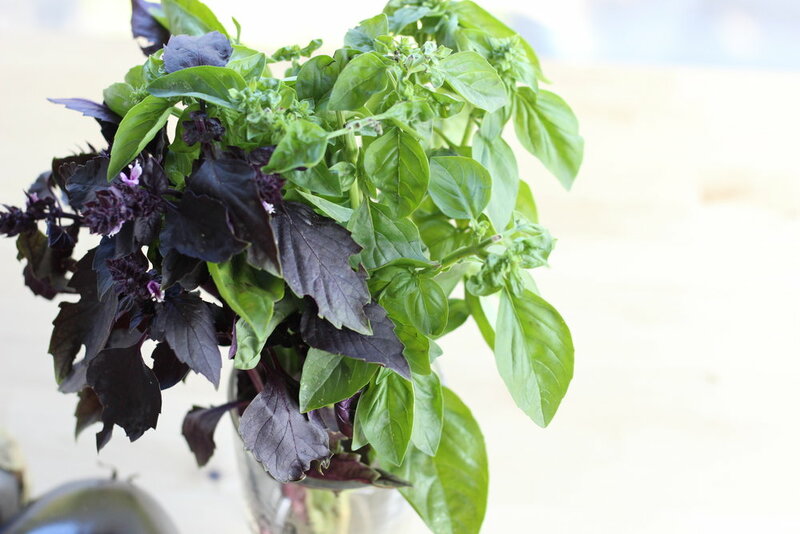 Don’t stir in the basil until the last minute so that it holds its color! 3. To assemble the bowls, scoop a bunch of the pasta mixture into a bowl and top with the roasted vegetables. Add some avo slices on top, take a thousand photos of your art work, and dig in! Note: You can roast peppers and/or prep artichoke hearts and/or cook dry beans yourself if you don’t want to use jarred/canned. If you do, I say kudos. I wanted to keep this recipe easy, so I skipped those extra steps, but you do you!